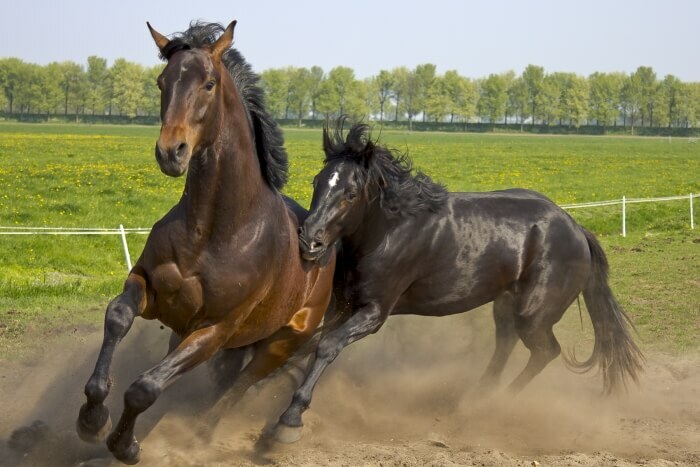 Most horses are domesticated animals that are protected by people from their natural enemies or predators but horses can still be vulnerable to wild animal attacks from predators such as coyotes, pumas and bears. Often, young or miniature horses that are easier targets fall victim to predatory attacks especially in outlying or country areas where wild animals and people both reside. Horses have well developed senses and flight responses that help when being targeted by predators. They are fast runners and have a great sense of balance. A fight-or-flight response is the usual horse’s reaction to a predator attack. Horses often display erratic behavior when they sense a predator’s presence.